During the month of March the American Dietetic Association focuses their efforts on helping families understand the importance of physical activity and more importantly how to make the right food choices. This March Dazzledish is celebrating National Nutrition Month with a two part health series. This week we will dive into the basic stepping stones to begin a journey to better health. Next week we will look at ways to help our pickiest eaters overcome the challenge of trying new foods. The first component to a healthy diet is to reduce the amount of refined sugars and enriched carbs by replacing them with fresh fruits, nutrient rich grains and fiber dense vegetables. Easier said than done, right? So where do you start exactly? Start with little baby steps. Begin by reading the labels. 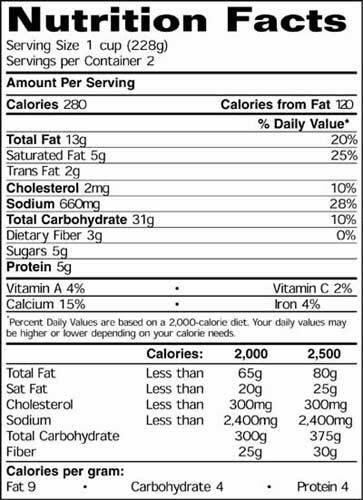 Reading the nutrition labels is crucial when trying to switch to a healthier lifestyle. Food companies are less concerned about your health and more concerned with meeting this quarter’s profits. Prepackaged and fast foods sell because they are convenient and they are made to taste great. Problem is fast foods in addition to prepackaged foods are unnecessarily overloaded with large quantities of sugar, sodium and calories that leave us hungry for more. Moreover, sugar and sodium have been linked to numerous health conditions later in life in addition to the increase of type-2 diabetes in children and teens. Of course these are the foods that are cheap and always available. I doubt many of our parents actually understood the direct impact theses types of foods would have on our bodies. 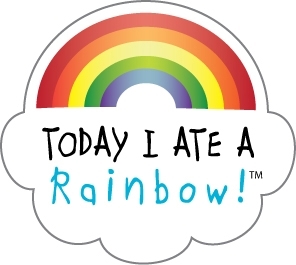 We were taught to celebrate with mounds of candy and sugary confections. White bread, whole milk and fried foods were the norm. We ate a carb with a side of carb. Ie: Lasagna with garlic bread or a sandwich with chips. Only now are we as a society beginning to realize the harmful effects these habits wreak on our bodies. Today the food companies, to their credit, have tried to heed the demand for healthier products. Introducing the 100-calorie snack packs, fat free and low fat and sugar free products. Unfortunately what they took out they had to replace with something else to make it taste delicious. Fat free foods still contain sugar and sugar free products still contain fats. When eaten in excess these foods can still be stored as fat. The number one misleading product on store shelves is whole wheat bread. Surprisingly, the majority of breads claiming to be %100 whole wheat use enriched wheat flour and contain high fructose corn syrup. 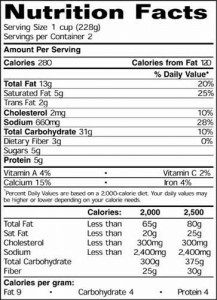 The nutritional label and the ingredients list should be evaluated as a whole. The ingredients are listed in descending order from the most to the least. It should be short, comprehensible and minus all the man-made ingredients. A loaf of bread for example is mostly flour and water. Flour would be listed first because there is more flour in a loaf of bread than any other ingredient. When shopping for bread look for whole grain or whole wheat flour in the number one spot. Enriched flour white or wheat has been refined and processed until it no longer holds any nutritional value. Instead choose breads with whole wheat, corn, potato and/or oat flours. Sugar is stated as being a culprit of childhood obesity. It is no wonder when it is in just about everything. Take for example a can of soda. There is an average of 39 grams of sugar and over 100 calories in one 12-ounce can of soda. That equals 9 ¾ teaspoons of sugar or 3 1/4 tablespoons. This much sugar can wreak havoc on our energy levels. A healthier option might be a glass of crystal light or flavored sparkling water (check the label for the type of artificial sweetener). For a nutritious pick me up in the afternoon try a handful of nuts with a piece of fruit. The protein in the nuts helps the body feel full longer without the spike in blood sugar. Sugars may be listed in the form of: corn syrup, high-fructose corn syrup, maple syrup, brown rice syrup, fruit juice concentrate, maltose, dextrose, fructose, sucrose, honey and artificial sweeteners. Put back anything that contains high fructose corn syrup. High fructose corn syrup can only be converted to glucose through the liver. The worse part is the body turns high fructose corn syrup straight into fat. The liver’s function is to filter out toxins. Eating high fructose syrup places unneeded stress on the liver in addition to being highly addictive. 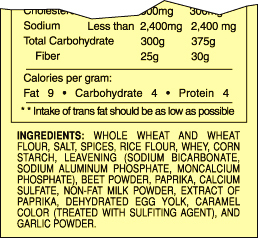 Next, limit products whose fat source comes from saturated fat or trans fat. They have the ability to increase the likelihood of heart disease. On the flipside we do need some fat in our diet. These “good” fats are called monounsaturated or polyunsaturated fats derived from plants such as oils, avocados or nuts. Fats are listed in both the ingredients and on the nutritional label. A product may not contain trans fat according to the nutritional label but a hydrogenated oil or partially hydrogenated oil listed in the ingredient list means that product contains some trans fats. Lastly, calories are the amount of energy in a food. A cup of lettuce contains 10 calories while there are 500 in a regular sized vanilla milkshake. If the intake of calories is higher than what the body burns the excess calories are turned to fat. Keep an eye on the amount of calories per serving size in the foods you choose. You will be surprised at how easy it is to accumulate calories. A serving of bread is typically one slice. Depending on the brand that 1 slice can contain 70 to 100 calories. Add another slice, meat and cheese to make a sandwich and you have a complete 350 calorie meal. That is not counting the can of soda and bag of chips that so often accompany a sandwich. Be careful to watch the amount of calories per serving in addition to the calories from fat percentage. The calories from fat should make up no more than a quarter percent of the total calories. Peanuts are a perfect example of high calories from fat. There are about 170 calories in 1 serving (28 nuts) of peanuts with 130 calories from fat. Nuts are a great source of protein; however, if you are looking to snack Cashews or almonds are a better choice if you are watching your fat intake. This first phase helps identify the type of food choices we regularly make. The reduction of refined flours and sugars prepare the body and taste buds for the next phase. To the Fullest: Join Beth on her inspiring journey to better health by overcoming food addiction. Walk About: Find the balance to eating healthy. Healthy Life Style Balance: Learning how to maintain a healthy lifestyle.